Deciding on garage door windows means considering the smartest options available, and these options are determined by the situation you’re attempting to address. You may be in a highly visible area and are looking for the best aesthetic choice. Or your location may be out of the way, out of sight, so perhaps security is more on your mind. An out-facing garage door in a residential cul-de-sac, for example, may be an appropriate candidate for windows. A comparatively safe environment like this has eyes on it more or less around the clock. 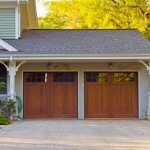 Garage door windows let in light and make the interior considerably nicer. And as we all know, garages are not exclusively for parking. You may want to set up a weights bench or a drum kit in your garage. For people working out or practicing music, natural light will be a perk. A garage door facing into an ally, on the other hand, may make garage door windows the a less attractive option, simply for security’s sake. Less community traffic can mean unwelcome eyes peeping through garage door windows, emboldened by darkness and the lack of people around. We at AAA Door Guys Inc. can help you make the right decision. 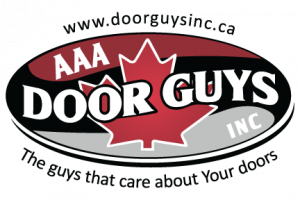 We supply name brand doors like Liftmaster, Amarr, and Coachman Series Carriage House, each with multiple window options. If you have damaged windows on an already existing door, we can help you with that, too. We offer 24-hour service in Muskoka, Barrie, Innisfil, and Newmarket, and our work is guaranteed.